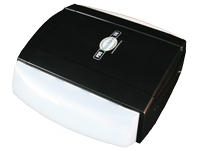 PDS ULTRA 900 openers work brightly and smartly. 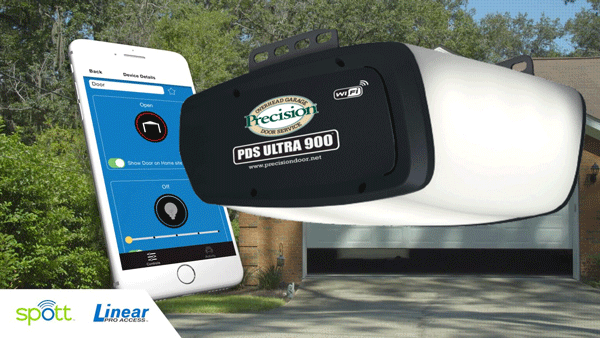 They offer patent pending brightness to your garage with 6 different levels of brightness. They are also smart. Connected to wifi you can control your garage door from anywhere. This opener has a Lifetime Warranty on the motor and belt rail, a 5 year warranty on mechanical parts, and a 1 year warranty on electrical parts. The PDS 370 and PDS 270 are feature-rich openers, built to last and guaranteed to provide years of smooth, trouble-free performance. LED lighting and reduced stand-by consumption make them the most efficient residential garage door openers available, while the direct current (DC) Smart Motor, coupled with a chain or belt drive system, ensures an amazingly quiet operation. 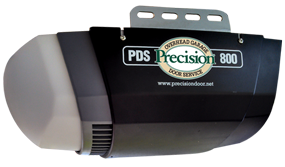 The PDS 370 has an optional battery back up system that allows the opener to operate even when the lights go out! This Opener has a Limited Lifetime Warranty on the motor, gear assembly and rail system. Eco-Friendly Efficient design results in ongoing energy savings. Ultra-Smooth and Quiet Operation Variable speed operation delivers ultra-smooth, quiet performance, increasing long-term reliability. Safety First, Safety Always If the obstacle-sensing beam is crossed when the door is closing, the door reverses to fully open. Park or Reverse Door To permit both ventilation and access, the garage door can be stopped and parked during either upward or downward travel. Secure, Responsive Remote Control Linear remote controls operate over a long range and employ high-security technology. Deluxe Wall Station All controls are large, clearly marked and illuminated (door UP/DOWN control, courtesy light switch, and vacation mode). Automatic Courtesy Light A built-in 100W MAX light illuminates the garage for five minutes every time the operator is used. Easy Door Release When you need to open or close the garage door manually, simply release the operator's quick-disconnect trolley. Warranty Precision offers a lifetime warranty on the motor and the belt. If your motor has a problem, we're not going to just fix it. We're going to take it down and give you a brand new one. If you can find a motor with a better warranty- buy it! Pictured right, you can see how this new opener differs from a traditional garage door opener in where the opener is mounted. It is adjacent to the door on the front wall rather than hung down from the middle of the garage's ceiling.